Do you feel that the air is too dry when heating your Columbus area home in the winter? There are several reasons that heating your home can decrease proper humidity levels and cause indoor air quality to suffer. You can help improve the lack of moisture in several ways, and the indoor air quality specialists at Quality Air Heating and Air Conditioning can help go over your options for improving the quality of air in your home. Remember that routine maintenance is one way to maintain indoor air quality, so schedule your annual tune-up if you haven’t already this year. Your best option is to installing a whole-house humidifier, and investing in this type of indoor air quality equipment will definitely pay off during the winter. While room humidifiers may be less expensive, a whole-house humidifier will increase the moisture throughout the home and not just in one or two areas. Getting the right amount of moisture is important because it helps to prevent mold growth, as well as preventing excess strain on your heating system. Another advantage to a whole-home humidifier is that you can have it installed with your heating system, and some models can even be directly connected to your plumbing system. While there are several different models available for installation, we can go over your options and help you select the best one. 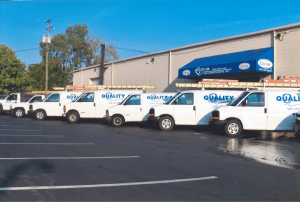 Contact the Columbus heating and indoor air quality experts at Quality Air Heating and Air Conditioning for all your heating and indoor air quality equipment needs this winter!